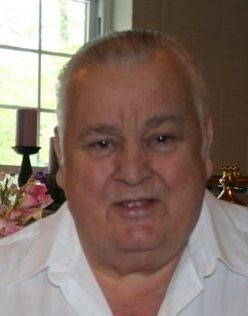 FROSTBURG- Donald Franklin Dickel, 79, of Frostburg passed away on Tuesday, September 25, 2018 at home. Born November 9, 1938 in Frostburg he was the son of the late Joseph Dickel and Idella (Gordon) Dickel. He is preceded in death by his sisters, Genevieve Railey, and Betty Hutzell; brother William Dickel, and granddaughters, Sarah Miller and Faith Muir; and son in law Dave Umstot. Mr. Dickel was a U.S. Army Veteran had worked at Potomac Motors, Cocoa Cola, and National Security. He was a member of the Vale Summit United Methodist Church, and also a member of the Cresaptown, Rawlings, McCoole, and Frostburg Fire Departments and a member of the Fire Police. He was also a member of the Frostburg Eagles and the Laurel Elks. His is survived by his wife of 57 years, Ladona (Metz) Dickel, his daughters, Ronda Muir and husband Tony of Cresaptown, Robin Fugere and husband Roger of Rawlings, and Vonda Umstot of Cresaptown; and families. Also, a sister Barbara Ash of Frostburg; and a brother Leo Dickel and wife Betty of Ohio; and best friend Mike Kucharczyk. A memorial service will be held for family and friends at the Danville Church of the Brethren on Saturday, Oct. 20, 2018 at 2 p.m. Sowers Funeral Home is in charge of arrangements.